Visit NRS's 3mm Farmer Jane Wetsuit page. 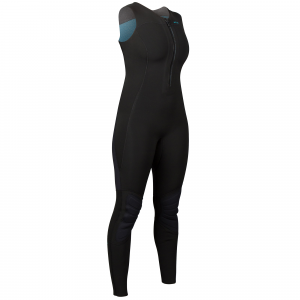 Our most popular wetsuit in a cut that's tailored specifically for women's bodies. The NRS 3.0 Farmer Jane provides excellent comfort and warmth at a price any lady will love. 3 mm Terraprene(TM) neoprene for outstanding warmth. Women's cut provides added room across the bust, tapered legs and a narrower span across the shoulders. 4-way stretch PowerSpan(TM) in the chest down to the belt line and along the sides adapts to your movements for unrestricted range of motion and improve fit. Generous armholes give you excellent freedom of movement. Glued and blind-stitched seams are comfortable and warmer. Titanium laminate adhesive reflects heat back to your body, keeping you warmer. YKKA(R) ankle zippers make this suit easy to pull on over booties. Reinforced padded knees add protection and durability. 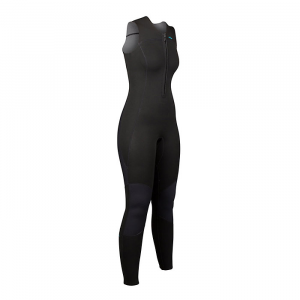 The 3.0 Farmer Jane Wetsuit from NRS is designed to fit the female body and enhance your warmth in frigid waters.